Join the fun at CrabFest, one of the most acclaimed food festivals in the country! 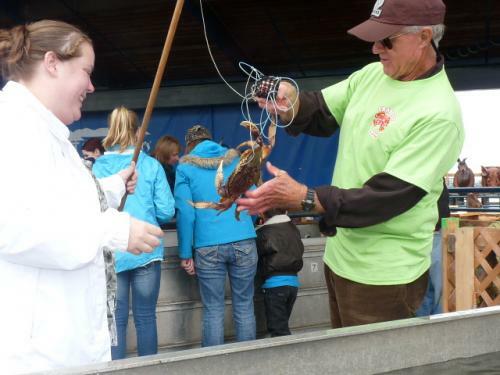 The festival celebrates not only the aquaculture, agriculture and maritime traditions of the breathtaking Olympic Peninsula, but brings food, art, music, Native American activities, and children’s events into one spectacular 3-day event for everyone! Located on the gorgeous Port Angeles waterfront next to Olympic National Park and a short ferry ride from sparkling Victoria, British Columbia, Canada, the event celebrates the world-famous Dungeness Crab, named after the nearby village of Dungeness, and the bounty of the sea. Featuring 14 restaurants, cooking demonstrations with celebrity chefs, Chowder Cook-Off, the Grab-a-Crab Derby, local wine and beer, craft and merchant vendors, live music, and many more events! Rain or shine, this is the “party” of the season and, admission, as always, is FREE! 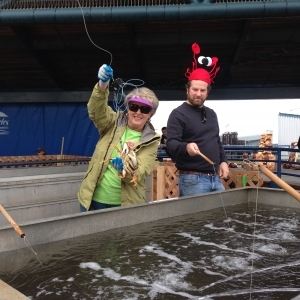 Our club helps as volunteers at the CrabFest manning the crab pond.